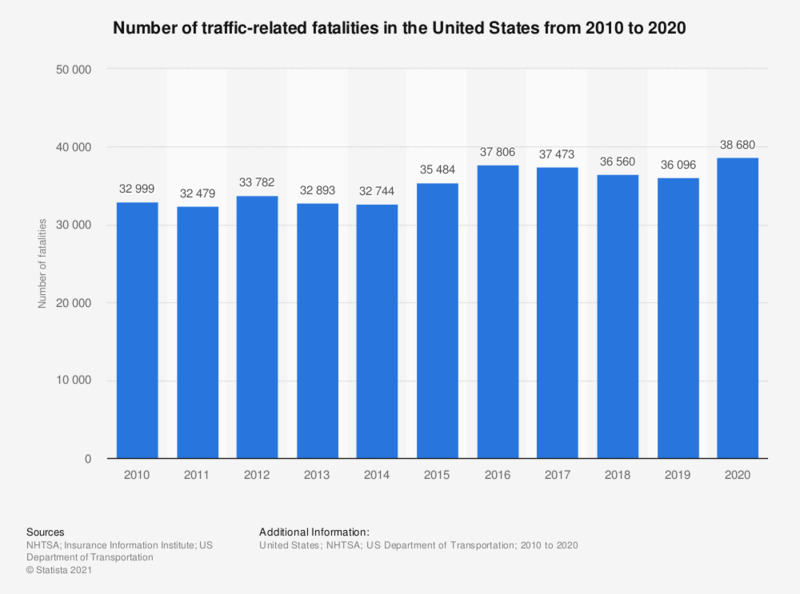 This statistic represents the number of traffic-related fatalities in the United States from 1975 through 2017. In 2017, the number of traffic-related fatalities in the United States amounted to around 37,000. The figures for 1975 through 2015 were taken from previous editions.